Designed around today’s and tomorrow’s needs of 100-400 bed hospitals. Modular system, easy to install. Designed for safe, easy operation with auto charging and state-of-the-art controls. Includes many benefits of higher-priced systems, yet within the budgets of smaller facilities. Designed to meet air dual-chamber combustion. Controls the spiraling cost of infectious waste disposal with simple, reliable, on-site technology. Backed by knowledgeable and friendly service. Modular components, factory designed to keep installation simple. Most piping and wiring is completed at the factory, simplifying mist connections to single-point hook up. 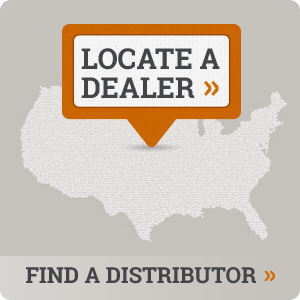 Distributor assistance available for permitting, start-up, operator training and testing. Pneumatic ram charging system assures proper burning rate and operator safety. When the loader controls prove the pre-programmed temperatures and elapsed time, the operator places the waste in the hopper, closes the lid and pushes “load” switch, beginning cycle. The vertical charge door on the primary chamber opens, and the ram pushes waste into the chamber. The ram withdraws and the charging door closes automatically. Primary and secondary chamber temperatures recorded by dual pen circular chart recorder. De-ashing at the beginning of the work day when unit is cool. Minimum operator involvement and maintenance. 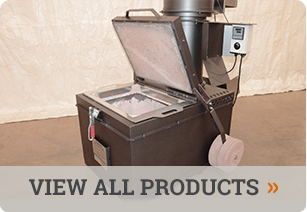 Dual-chamber combustion: The proven solution to cost-effective waste disposal. Chambers insulated and lined with high-temperature refractory. Programmable digital temperature controls and chart recorder. Modulating control for fuel and air lowers fuel consumption. Preheat and secondary temperatures to 2000F. With combustion design and manufacturing experience, Firelake Manufacturing is a leading supplier to the health services profession. Nationwide network of distributors work with the customer to determine disposal needs, coordinate design, fabrication, factory testing, installation, start up, and field testing of the equipment, providing quality operator training.